Greta Thunberg, who has been nominated for a nobel peace prize, made headlines globally for her inspiring proactive approach to tackling climate change. In an attempt to secure a better future, Greta and her classmates have begun a strike in school, which has caught fire all over the world, with students in every country mirroring Greta. These children and students feel the lack of action by major politicians and wealthy countries has left them with the responsibility of securing a safe, clean future. The action taken by Greta is an example of leadership and passion that her older, experienced counterparts could learn from. Her inspired ideas of the richest countries tackling emissions first is both practical and effective, as she argues that we have all of the knowledge and research we need to make this happen. Without miracles, it is entirely possible to adjust the current direction of climate change to one of a prospering planet – ‘All we have to do is wake up and change’. 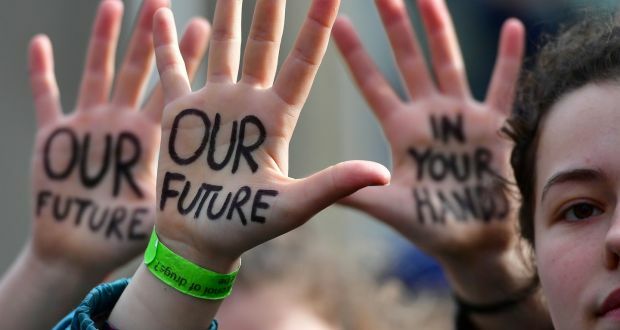 Greta Thunberg and her peers all over the world have provided an incentive to global leaders, boldly demanding change. The students’ protests demonstrate exactly what they want from their representatives – action. Fed up with the lack of attention focused on climate change, a few students have taken climate change and made it so it’s impossible for the media to ignore it any longer. Their display has inspired individuals all over the world to make a change. If you are curious about how Thermohouse contributes to this change, click here for more information.